Diatomaceous earth is AMAZING. If you are not familiar with all of its incredible health benefits for people and pets (and livestock) health, as well as its many uses for common household issues, then this article is a MUST READ. Not only is diatomaceous earth wonderfully helpful for improving human health, it also provides a long list of healthy benefits for many animals. 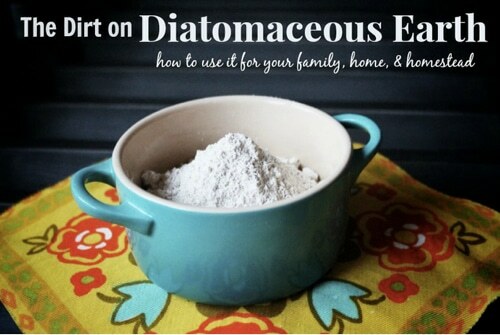 Read on at the link below learn more about the amazing benefits and uses of diatomaceous earth. If you’re interested taking it to improve your health, the article will provide recommended dosages.